Hey guys! I have awesome eye-candy for you today! Soflajo's new Life's a Beach collection swatches! I have some collage-type pictures that I put together for Jody, so I want to share them with you. 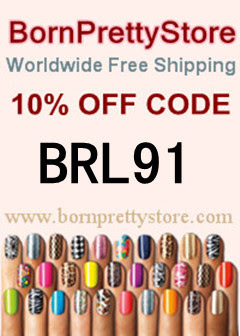 She has full descriptions of all the colors on her site sale page if you would like that info. I think this is a great collection! My personal favorites are Moonlight Bay, The Heat Is On, and Girl's Night Glitter. But they are all awesome! The quality of all the polishes is great! The application is smooth and the Soflajo formula is very nice and easy to work with. What do you think of this collection? Have you purchased any Soflajo polishes yet? You did an amazing job with these swatches!! All Jody's polishes are gorgeous!! It's a fabulous collection!! It reminds me of those new shade shifters from Glitter Gal! I LOVE Summer Breeze and Girls Night Glitter! I'm looking for a camera and I was wondering what brand yours is and if you like it and would recommend it. And if anyone else knows of a good one, thanks! Beautiful! I HAD to Pin Moonlight Bay :) Hope you don't mind!